JB Arcadia - JoomlaBamboo new developers with full support for Joomla 2.5 and 3.0. This template is made in bright colors and include built-in 9 color themes that are easily configured through the control panel template. T3-rich platform provides flexible control of all the template is responsible for optimizing and fast speed of loading pages, and allows the template to work correctly on all mobile platforms. Built-in support corporate toolkit Zentools significantly increases the basic features of the template. Adaptive function template achieved thanks to modern technology features Bootstrap. 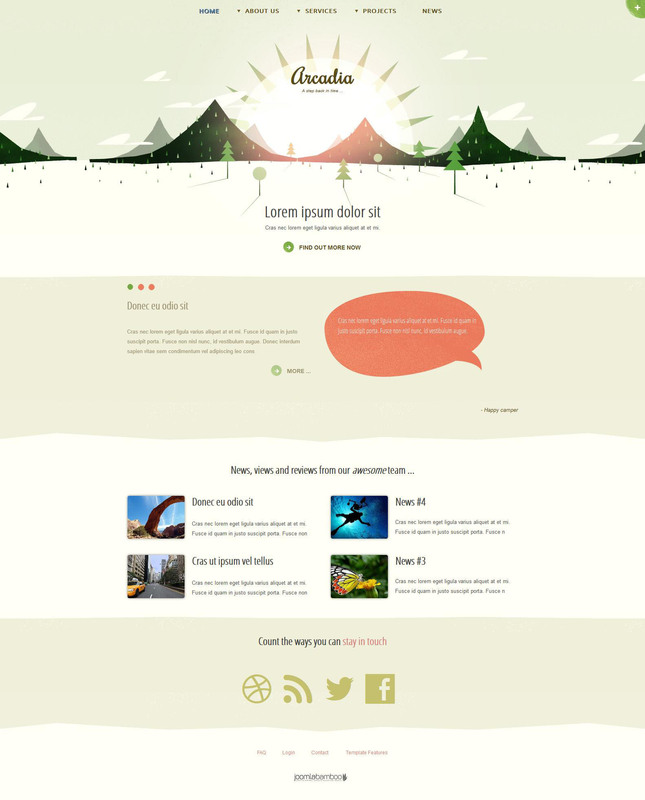 JB Arcadia - a great solution for creating high-quality websites of any complexity.